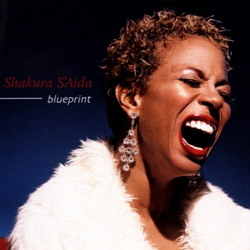 You may have spotted Brooklyn-born, Swiss-raised and Canadian-based Shakura S’Aida-pronounce her name “Shack-ooo-ra Sigh-ee-da”— performing at Festivals in Dubai, Europe, Australia, Rwanda or Russia, on the Legendary Blues Cruise; with her new symphony orchestra concert, “Blues in G Minor: 4 Women”, featuring the blues music of Etta James, Billie Holiday and Nina Simone, in her 4 woman tribute to Nina Simone, “The Nina Project” or acting in TV shows such as Lost Girl, Schitt’s Creek or Flashpoint. From her beginnings as the world music band Kaleefah’s lead singer, this versatile vocalist and consummate entertainer has blown audiences away with her scorching vocal style, uncanny ability to deliver powerful original songs and to get deep into the guts of the most venerable standard. Shakura S’Aida has consistently been thrilling audiences with her powerful pipes for years, most recently as a guest host on CBC Radio 2’s Weekend Morning. As a veteran of the international music scene, she’s performed both as a featured artist with musicians like Jimmy Smith, Lee Oskar (WAR), Bettye LaVette and Keb Mo’, as well as an award winning solo artist.